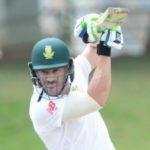 Proteas captain Faf du Plessis says there is still uncertainty over whether he will bat at three or four in ODIs going forward. 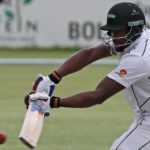 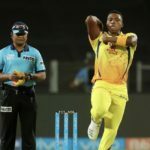 The Chennai Super Kings rolled over the Delhi Daredevils with an impressive debut from Lungi Ngidi who conceded just 26 runs from his four overs. 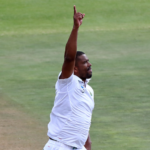 Vernon Philander stood up when it counted to secure his best Test figures and finally close down India. 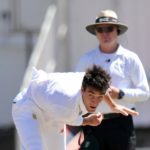 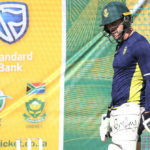 AB de Villiers will captain the Proteas in their day-night Test against Zimbabwe, starting on Tuesday in Port Elizabeth, after Faf du Plessis was ruled out because of a viral infection. 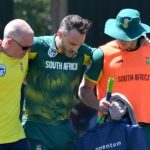 JP Duminy is to take the captaincy of the Proteas T20 squad after Faf du Plessis was injured during the third ODI on Sunday. 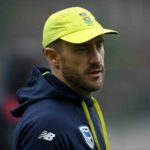 The most important benefit of the 2-0 series win over Bangladesh was the boost in confidence, says Proteas captain Faf du Plessis. 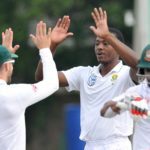 Just to rub it in, the Proteas batted on for seven overs after lunch to declare on 573-4 against Bangladesh. 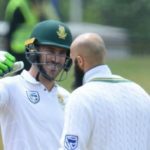 Hashim Amla and Faf du Plessis moved smoothly to their hundreds when play started after a 90-minute rain delay on day two in Bloemfontein. 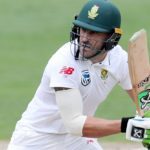 Describing the first Test against Bangladesh as ‘perfect’, Proteas captain Faf du Plessis now wants a repeat performance to show consistency. 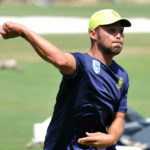 Proteas captain Faf du Plessis has demanded a wicket more suited to his pace attack in the second Test against Bangladesh.